I’ve read Michaelbrent Collings before, but this book is different. 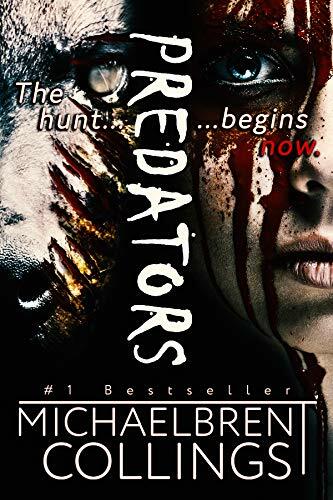 PREDATORS is better than the novella CRUCE ROOSTERS I read earlier this year. Collings writes vivid descriptions, bringing the terrifying story to life. With PREDATORS, he sends the reader through the emotional wringer. Check your safety harness before you take off on this wild rollercoaster of a novel because it will throw you for a loop. You will definitely want to read PREDATORS in the comfort of your reading nook. The reader gets a hefty amount of information in the first half of the book, but don’t fret, it’s all worth it in the end. The characterization is amazing. You learn so much about the families, friends, couples, individuals, and their Safari guides. They all think they are safe inside their vehicles. A group of “freedom fighters” kidnap them for ransom. They are in the most dangerous environment in the world, with no communications or water. A pack of vicious animals have smelled the blood of the survivors. The ferocious predators are hungry and they must eat. The character building, the characters’ backstories, and the different point-of-views kept me engaged, even when there wasn’t much action in the first half. The way Collings instrumentally inserts interludes from the point-of-view of the main predator is brilliant. I thought the different point-of-views would slow down the narrative, but the story kept on trucking rather smoothly. The latter half of PREDATORS is nothing but nail-biting, high-intensity suspense. I’m talking edge of your seat, action packed, ruthless savagery. PREDATORS reminds me a lot of Jurassic Park. All of the characters, including the animals, play a vital role in this book. There are a few throwaway characters, but not many. I didn’t want this book to end. Michaelbrent Collings has returned to the horror genre with a helluva tale. Collings’ writing is strong. PREDATORS is an important book. The storyline starts out pretty slow, but picks up speed in the second half. The characterization in PREDATORS is masterful. This book is real life scary. This story could actually happen. 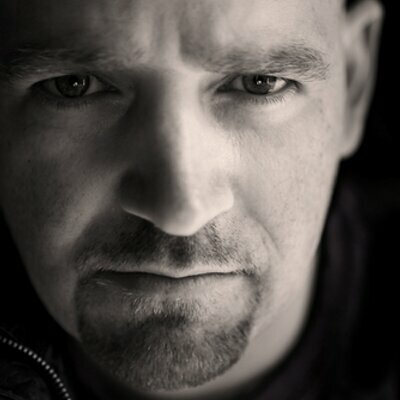 Michaelbrent Collings is an internationally-bestselling novelist, multiple Bram Stoker Award nominee, produced screenwriter, and one of the top indie horror writers in the United States. He hopes someday to develop superpowers, or, if that is out of the question, then at least to get a cool robot arm. Michaelbrent has a wife and several kids, all of whom are much better looking than he is (though he admits that’s a low bar to set), and also cooler than he is. Michaelbrent also has a Facebook page at http://www.facebook.com/MichaelbrentC… and can be followed on Twitter through his username @mbcollings. Follow him for cool news, updates, and advance notice of sales. You will also be kept safe when the Glorious Revolution begins!